Too many business owners make the fatal errors of assuming that customer service is only important for retail or food service workers. It’s time to change that perception: for instance, Local Records Office is a service selling reports about the academic and public integrity of communities. Because this service is sold to men and women moving to new places, Local Records Office knows that they must present a calm, helpful face in order to further their own bottom line and please the customer. Food service workers are never wrong when they say the customer is always right; it’s a rule that can improve the fiscal performance and popularity of many other industries. 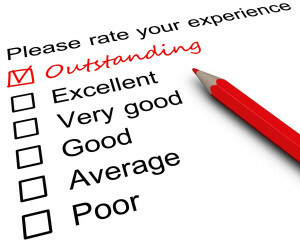 Still skeptical about the importance of quality customer service? Business owners must understand that a large portion of their brand’s image is shaped by consumer perception. Regardless of how catchy your branding is or how much money you pour into marketing, the perception of your company will in large part still fall to how the public perceives you. Which means that, for better or worse, your customer service can make or break your organization; one bad customer experience can lead to complaints while one great customer experience can lead to referrals. The way in which your business works with clientele is important. As such, customer service should always stand as a number one priority for organization that are looking to thrive. So how can businesses improve their customer service skills? When it comes to boosting the service that you provide to your clientele, it is important to first identify what changes should take place. Start by evaluating your current customer service activities; first and foremost, clients need to be treated with respect. Are they satisfied with the level of support that your organization’s representatives can offer? Once you realize the issue that need to be revised, set out to create a plan that will enable you to successfully achieve positive change in your organization. For instance, you might invest in a higher degree of training for your customer service representatives to ensure that they are able to handle a wide range of satiations. Additionally, you might create a follow-up procedure that speaks to clients after they have had customer service issues resolved to ensure brand loyalty and underscore the fact that your business cares about their satisfaction. Another great way to improve the quality of service that your organization offers to its clientele is to listen to their feedback. Create a survey or simply ask about the improvements that your customers would like to see. Just make sure that , if you start this kind of dialogue, you use the information you gather to improve the support that clients receive. If your clients can see changes in the business spurred by their own critiques, then Local Records Office assures you that they will become steady repeat customers.